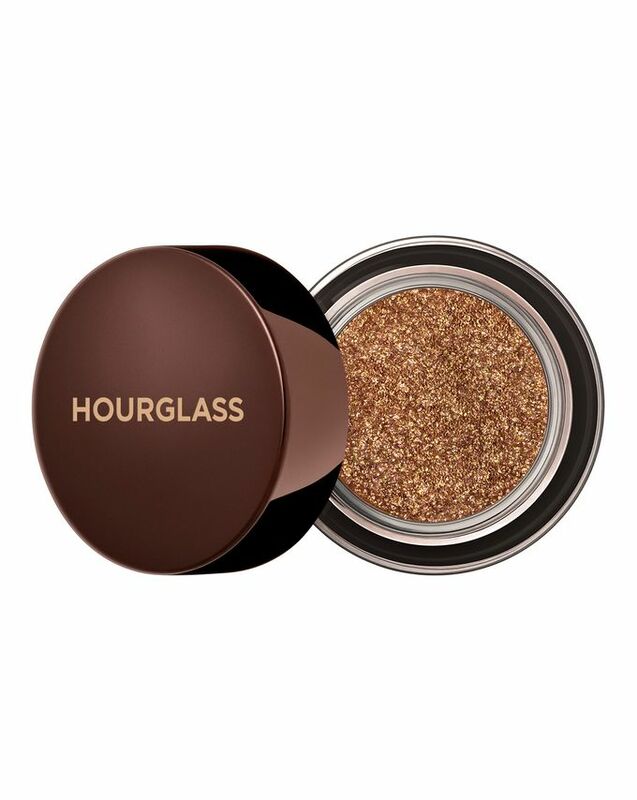 Uniting beauty and science with luxury, you can rely on Hourglass’ seamless, simply sublime range for a miraculous addition to your make up kit – and this limited edition glitter eyeshadow is a jewel in the brand’s crown. 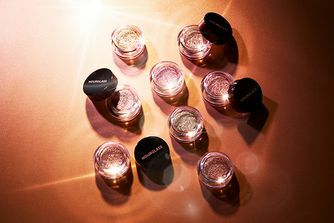 Featuring a high concentration of crushed pearls and light-reflecting glitter, this unique cream to powder formula creates intense colour payoff and reflective dimension for an effortlessly sophisticated look. There are five spectacular metallic shades to choose from – utterly irresistible. 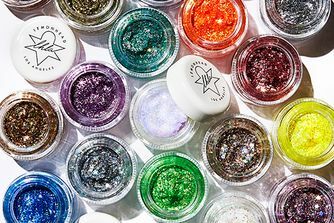 Did someone say ‘grown up glitter’? Achieving that seemingly impossible make up ideal, Hourglass’ Scattered Light Glitter Eyeshadow is a limited edition hidden gem – quite literally. The formula features a high concentration of crushed pearls and light-reflecting glitter to create sparkling, high-impact eye looks. The unique cream-to-powder formula creates reflective dimension immediately, with intense colour payoff for the most effortless, sophisticated look. Beautifully buildable, the sheer formula is creamy and weightless, gliding across lids seamlessly before drying down for seriously smooth, ultra-comfortable wear. It’s available in five show-stopping metallic shades – there’s hazy taupe ‘Smoke’, smoky pink ‘Aura’, shimmering champagne ‘Reflect’, gorgeously golden ‘Foil’ and dazzling copper ‘Blaze’. Choose your favourite or combine a few for a sublime, shimmering take on a smoky eye. Apply to lids – the formula glides across as a cream then dries to a powder for super-smooth, ultra-comfortable wear. I bought three of these and can't stop wearing them! On their own, or to add a bit of sparkle to my powder or cream eyeshadow looks, they are just beautiful. It's a lovely fine sparkle not a chunky glitter so compliments daytime looks as well as stunning night time looks. Best eyeshadow ever. And its very easy to apply. Need to get another color! I am a glitter fan - I wear glitter top coats even to the office when I feel like it (the tame variant, I adore the glitter top coats made by Tom Ford and Charlotte Tilbury in their quads, which you can easily apply only the smallest dose of; my biggest obsession in summer are the Tom Ford cream and glitter duos - subtle glitter - in my opinion - even for the office; a slight glistening and not a glitterball). Fast forward to this little beast - that's not it!! if you were afraid this might be just another barely-there top coat - NO it is not! I applied it with the finger, opaque beautiful intense glitter coverage! Boom, a full-on party eye done in 30 seconds per eye! Decidedly not for the office. Decidedly for when you feel free and adventurous during the day, or ideally for the night. Dream material for festival season or great parties. Incredibly easy to apply; no fallout (applied with my finger, I bet it can be done as well with a flat brush should you wish to do so). Pure foil effect in seconds without wetting a brush. Foolproof. It lasts until you take it off. I love it. The only downside - it's not for the shy. 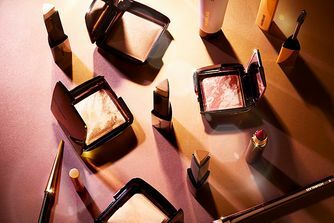 But the shy might want to get into glitter with the TomFord cream and glitter duo, and then get this real deal for special party nights. Every girl - and adventurous guy - should have this. I have Reflect, Blaze and Foil and think everybody should own Foil. A true yellow gold. I can see this be amazing with every skin, eye and hair colour. Это просто потрясающие, легкие в использовании, красивейшие тени! Я рекомендую попробовать их каждому, если сомневаетесь брать или нет - берите! Только будьте осторожны: после покупки одного оттенка велика вероятность, что вам захочется скупить все. У меня пока два цвета: невероятно нежный розовый прекрасный оттенок Aura и бронзовый, идеально подчеркивающий зелёный цвет глаз Blaze. Со временем хочу купить все оттенки! *** It's just awesome, easy to use, beautiful shadows! I recommend to try them for everyone, if you are in doubt whether to take it or not - take it! Just be careful: after buying one shade you want to buy everything. I have two colors so far: an incredibly delicate pink beautiful shade «Aura» and a bronze, perfectly emphasizing the green color of the “Blaze” eyes. Over time, I want to buy all the shades! Easy to apply, has the most beautiful effect and stays on well and there is no fall out either. Need to have another one!